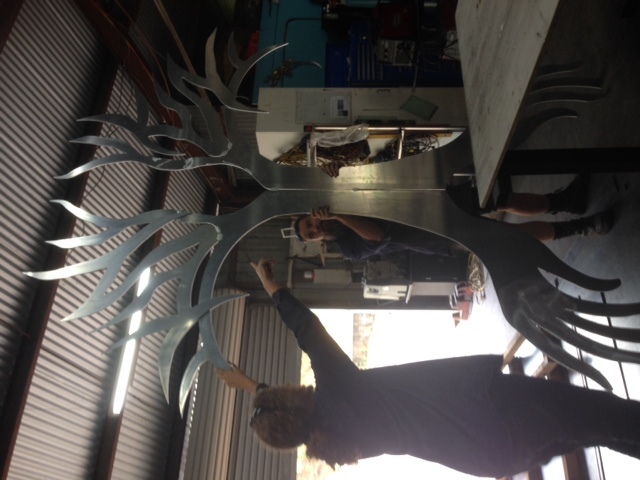 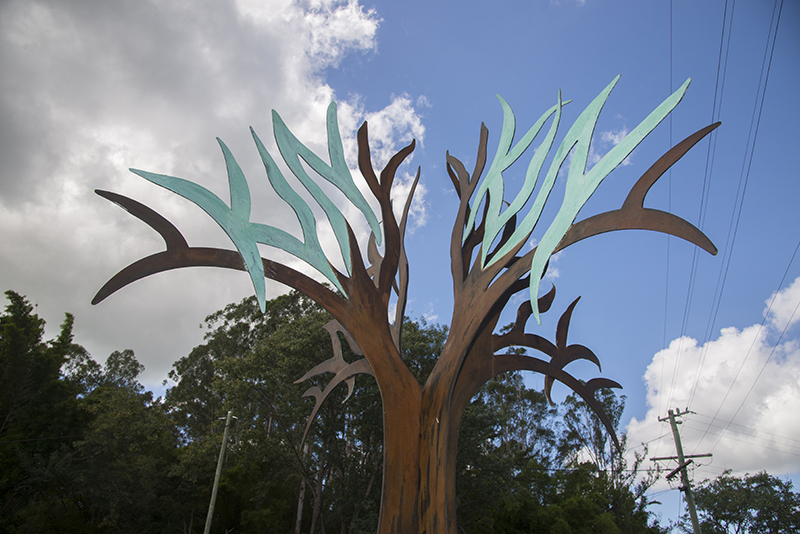 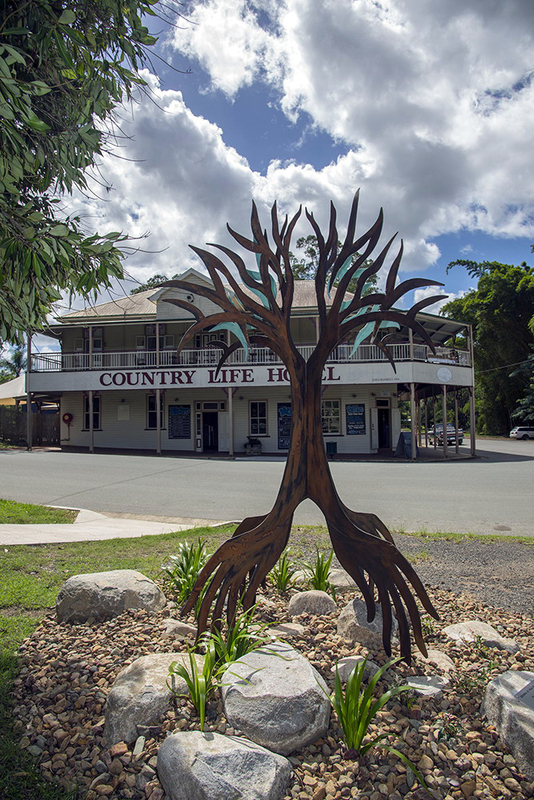 This sculpture alludes to the significant botanical history of Kin Kin and celebrates the town as a contemporary, unified and emerging community. 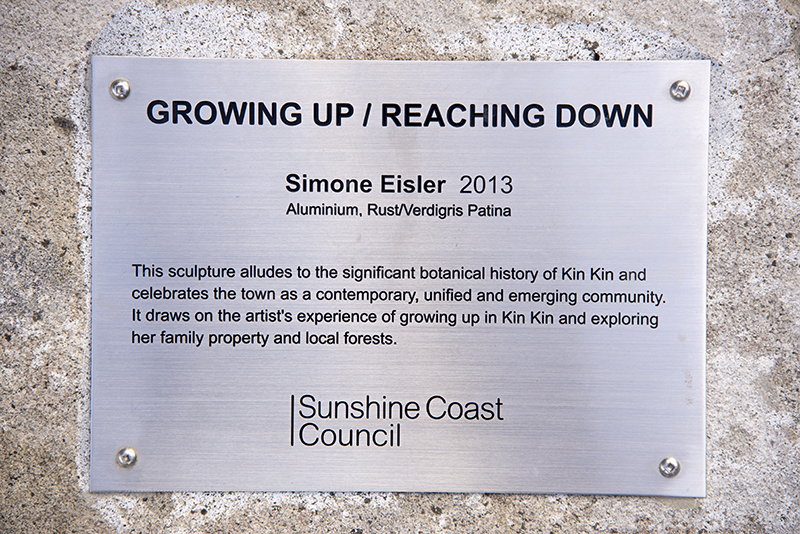 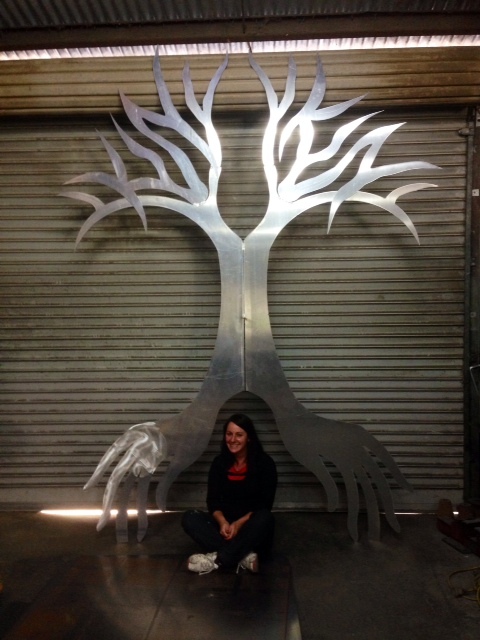 It draws on the artist's experience of growing up in Kin Kin and exploring her family property plus local forests. 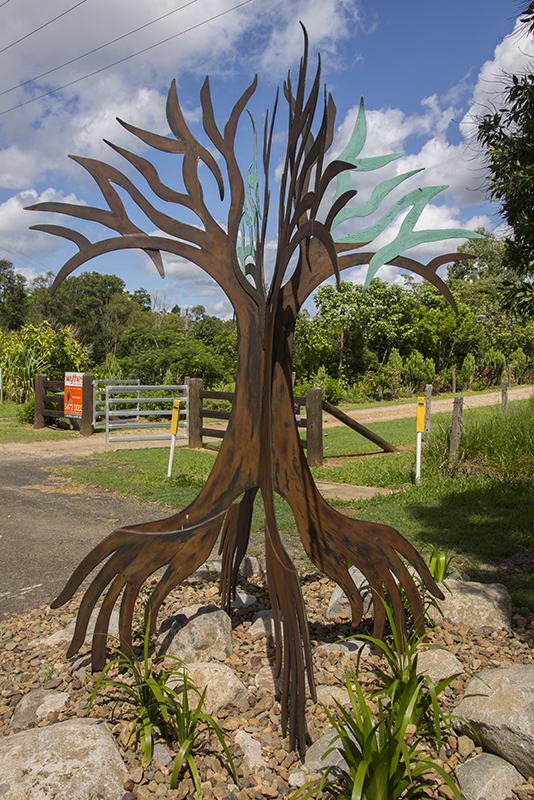 The artist consulted local and past residents and researched the work and life of Kin Kin botanist W.R. Francis who identified many species from the region.